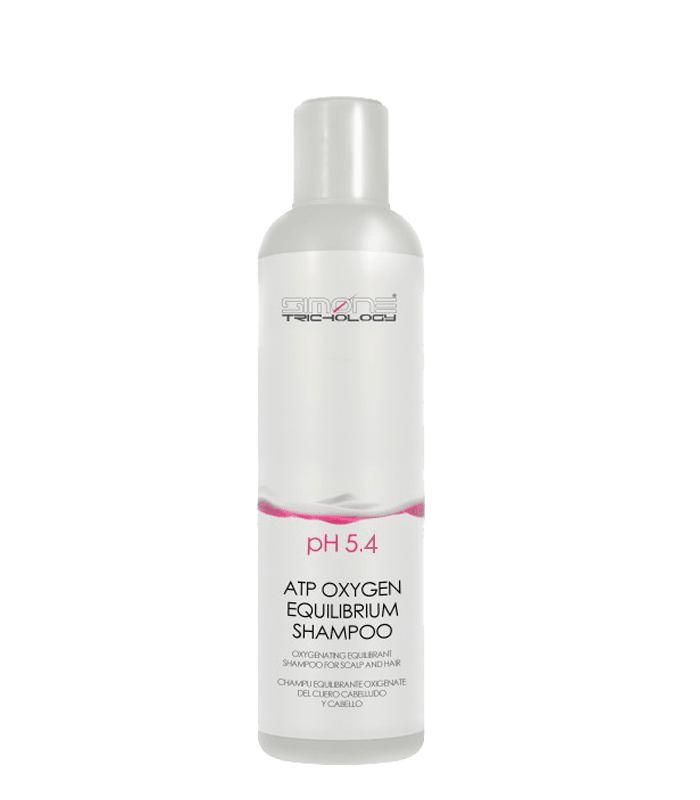 ATP OXYGEN EQUILIBRIUM SHAMPOO provides to hair: strength, volume, force and energy due to adenosine triphosphate, nucleotide in obtaining vital energy. SIMONE TRICHOLOGY ATP OXYGEN EQUILIBRIUM SHAMPOO 250ml has been developed specially for all kind of scalp and hair in trichologist treatment. SIMONE TRICHOLOGY ATP OXYGEN EQUILIBRIUM SHAMPOO 250ml provides strength, volume, force and energy due to adenosine triphosphate, nucleotide in obtaining vital energy. Oxygenating active, balances the scalp and hair, removing impurities. Leaves hair feeling soft and manageable. Sebum Regulating System Kit 64,17 € VAT incl. Sebum Regulating Shampoo 17,50 € VAT incl. Natural Sebum Control Treatment 150ml 31,21 € VAT incl. Dandruff Control System Kit 51,53 € VAT incl. Dandruff and Scalp Care Shampoo 18,14 € VAT incl.